What kind of animals can I encounter while driving in Outback Queensland? It is important that you remain alert at all times when driving through the outback. Along with kangaroos, you may encounter emus, echidnas, lizards, wedge-tailed eagles and other birdlife. 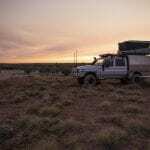 What supplies do I need to carry in my vehicle while in Outback Queensland? Always take snacks and extra water for the journey, as well as a spare tyre and map. Do I need to bring my own water when travelling in Outback Queensland? While Outback Queensland is experiencing drought, there is plenty of water to cater for the needs of visitors, so nobody will be short of a drink or shower. Many towns are located on the Great Artesian Basin, which provides water for the day-to-day needs of residents and visitors. Is roadside assistance available in Outback Queensland? RACQ services Outback Queensland and can be contacted on 13 19 05. 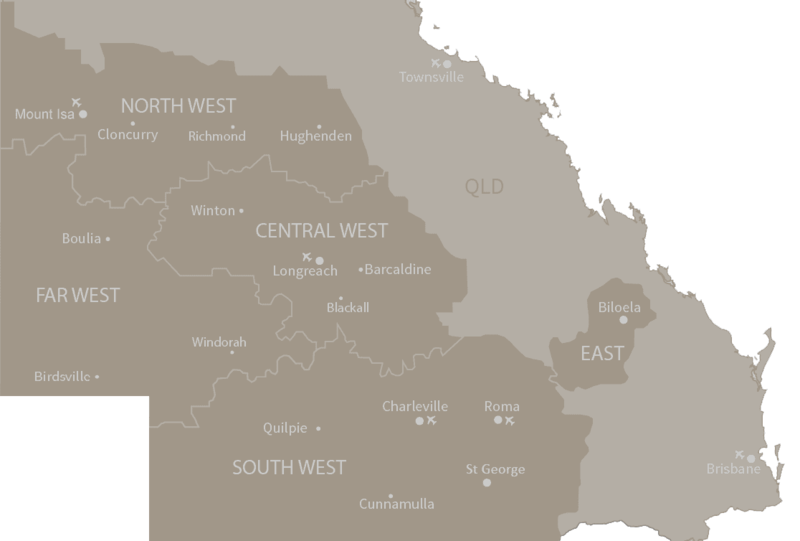 Are there maps and touring routes of Outback Queensland available online? Check out our itineraries section for road trip and holiday ideas. Outback Queensland's most popular time to travel is between March and October due to the cooler temperatures. How hot does it get in Outback Queensland? Summer temperatures in Outback Queensland are usually 35-40°C, however some towns can experience temperatures higher than this in Summer. Find out more on our Travellers Tips page. You should also check the current Queensland Weather via the Bureau of Meteorology. When is the wet season in Outback Queensland? December to February is the general time frame for the wet season in Outback Queensland. How long do I need to explore Outback Queensland? A week is a good amount of time to explore the North-, Central- or South-West regions, though you are very welcome to linger as long as little as you like. Whether you’re driving yourself, catching a bus, train or plane or travelling on a tour, in a week you can cover one region but it can take a couple to cover the whole Queensland Outback. 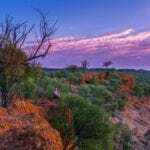 What types of accommodation are available in Outback Queensland? 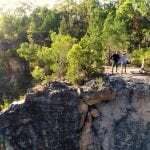 Outback Queensland offers a variety of accommodation options, ranging from free camping, powered camping grounds with amenities, cabins, backpacker accommodation and quality bed and breakfasts and motels. Farm stays are also available to get an authentic outback cattle station experience. 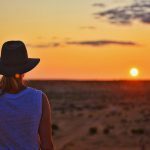 Do we need to pre-book accommodation in Outback Queensland? As accommodation options can be limited in some towns, it is always advisable to pre-book accommodation at least one week prior to arrival to ensure availability. During major events or festivals, accommodation can book out months in advance. Do all Outback Queensland towns have caravan parks and powered sites? Majority of towns in Outback Queensland have caravan parks with powered sites. Double-check with a local Visitor Information Centre if you’re in doubt. Can I have a camp fire in Outback Queensland? If camping outside a town, be aware that most roads run through private property. Open fires should not be lit on private property or in National Parks. Use only designated fireplaces at campgrounds. Can I travel through Outback Queensland with pets? Yes, Outback Queensland is pet-friendly. It is recommended to call ahead at accommodation and camping ground to check their pet policy, or to request a pet-friendly room. Keep in mind that pets are not allowed in National Parks. What kind of medical facilities are there in Outback Queensland? Almost all towns have a health centre, and the Royal Flying Doctor Service takes emergency patients from remote locations to necessary hospitals – either in region or to larger facilities on the coast. Businesses and locals generally have comprehensive First Aid Kits, but it is recommended to carry a small one your vehicle. Locate hospitals and health centres by region here.